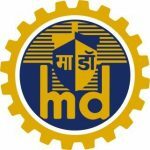 Deputy General Manager Vacancy – Last 04 April 2019 (Mumbai, Maharashtra), Mazagon Dock Shipbuilders Limited (MDL) recruits Deputy General Manager Posts. Candidates with Graduate, Post Graduate, BBA, Diploma Holders can apply. Graduate with diploma in Business Management / Business Administration / Public Relations / Management Studies / HR / PM and / or IR / Post Graduate Degree awarded by a recognized university / institute registered with AICTE. • Log on to MDL website www.mazagondock.in • Click on Online Recruitment • Register by filling up relevant details & click on Submit button. • Click on the validation link sent on email. • Login to MDL Online Portal with “Username” & Password • Select the job under Executive Tab & view the Eligibility Criteria • While applying, candidate should have the scanned copy of recent passport size colour photograph, their signature & other relevant Certificates in JPEG format. • Read the instructions carefully and fill up all the details in the Online Application Form. • Candidates may enter ‘NA’ in the mandatory fields not applicable to them • Check preview of the Application form and make corrections, if any. Any changes in the application form need to be edited before clicking on “Submit”. No other means of communication or correspondence will be entertained for correction in the Online Application Form. • Candidate belonging to General / OBC category are required to pay the application fees of ` 300/-. Detail instructions for payment of processing fees may be referred at Para-15. (Applicants belonging to SC/ ST/ PWD (Persons With Disability) are exempted from such payment of processing fee.) • Click on Home” tab and ensure your application submission status to be Successfully Submitted. • Take a print of your application form with unique registration no. on or before the last date of application for future reference. Option for printing of application form will not be available after the last date of application. i) Before applying for the post, candidate should ensure that he / she fulfills the eligibility criteria and other conditions mentioning in the advertisement. ii) Candidature is liable to be rejected at any stage of the recruitment process or after recruitment or joining, if any information provided by the candidate is found to be false or not in conformity with the eligibility criteria mentioned in the advertisement. iii) MDL reserves the right to cancel/ modify/ restrict/ enlarge/ alter the recruitment process, if need so arises without issuing any further notice or assigning any reason thereof. 10 vi) Intimation regarding Personal Interview & Result: List of ‘Eligible Candidates’, list of ‘Not-Eligible Candidates’, ‘Interview Schedule’, ‘Result’ etc. will be hosted only on MDL Website under the head Career-Executives. Candidates are requested to visit MDL website time to time to get themselves updated on the recruitment status. v) In case of any ambiguity/ discrepancy in the online recruitment portal the terms & conditions as mentioned in this advertisement will prevail. vi) Any further Information/ Corrigendum/ Addendum would be uploaded only on MDL website. vii) MDL reserves the right to fill up all the vacancies advertised or part or cancel the entire recruitment process at any point of time during the recruitment process. viii) Any dispute with respect to this recruitment is subject to Mumbai. Mazagon Dock Shipbuilders Limited, Mumbai, an ISO 9001 : 2008 Company is one of the leading shipbuilding and offshore fabrication yards in India. The Yard was established in the 18th century, and over the 200 odd eventful years, has earned a reputation for quality work and established a tradition of skilled and resourceful service to the shipping world in general and the Indian Navy, Coast Guard & ONGC in particular. In its varied history, MDL passed through various ownerships like the P&O lines and the British India Steam Navigation Company. It was incorporated as a Public Limited Company in 1934. After its takeover by the Government in 1960, Mazagon Dock grew rapidly to become the premier war-shipbuilding yard in India, producing sophisticated warships for the Navy and offshore structures for the ONGC. It has grown from a single unit, small ship repair company, into a multi-unit and multi-product company, with significant rise in production, use of modern technology and sophistication of products. The company’s current portfolio of designs spans a wide range of products for both domestic and overseas clients. Postal Address:Mazagon Dock Shipbuilders Limited, Dockyard Road, Mazagon, Mumbai – 400 010.